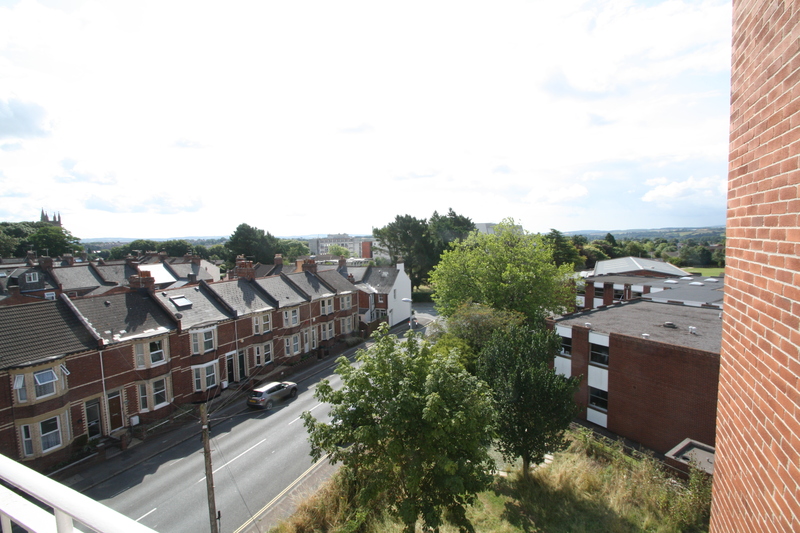 Spacious Two Bedroom Flat with garage Barrack Road Exeter EX2 5EE. Available now. Fourth floor Two bedroom flat offering spacious accommodation throughout. Communal lift to the flat, entrance lobby, Large lounge with patio doors leading to a balcony. Fitted kitchen/diner with oven, hob and washing machine. Stylish bathroom with shower over the bath. Two double bedrooms with wardrobes. Additional storage cupboards, garage in block. Brick Built shed. GCH, D/G. Unfurnished. Avail April 2019. £795 pcm Deposit £795. EPC Band E. Council Tax Band B. Agency fees and references required. Restrictions include no children, no pets.